To support Dave's artistic endeavors, go here. It’s been said that big things mirror little things, and vice versa. The sun with orbiting planets resembles an atom. Patterns on a tiny leaf resemble branches on a tree, and so on. Surprising parallels exist, also, among seemingly disparate human endeavors. 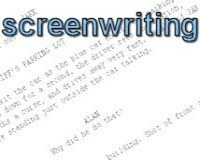 For example, the rules adhered to by Hollywood screenwriters mirror rules that software developers follow. These same concepts also guide game designers. They even guide nonfiction writers! It’s true. Several design concepts are shared by all four of these disciplines (apps, films, games, and docs). The parallels leaped out at me, because I’m a programmer who writes nonfiction and fiction, who also has a keen interest in game design, and I’ve recently been learning about gamification, which is the art and science of applying game mechanics to business processes in order to encourage desirable behavior. All four of these human endeavors (apps, films, games, and docs) seek to satisfy the desires of a (hopefully) large consumer audience. Gamification seeks to stoke the fire of human desires. Simply put, the key principles employed when scoping, creating, and implementing logic have counterparts, whether the goal is to build a chunk of application code, craft the flow of events in a blockbuster film, create a challenging online game experience, or guide a consumer to a snippet of product info. Each of these four “deliverables” must meet the demands of a large and increasingly demanding audience. It’s not enough for them to simply run when called. An app, film, game, or doc must execute in a timely fashion, with minimal errors, and in an optimally efficient and engaging manner, or it will not be successful in the marketplace for long. This is why each of these “content creation” efforts employs similar techniques and concepts, many of which are summarized in this table. As the table shows, the design process for each type of deliverable includes a hierarchy of structured elements that adhere to a set of rules. Each also includes things like decision points, re-usable blocks of content, and feedback mechanisms. Each uses a variety of communication methods and distribution channels to reach target audiences, and in each case, the “engagement level” of an audience indicates how successful the product is. Overlaps between logic design, marketing, and storytelling are making it increasingly difficult to know when you’re being “nurtured toward desirable behavior” (like making a purchase, or voting a certain way, or taking some other action) versus when you are simply being entertained. This site is a resource for writers, artists, inventors, and community leaders seeking publicity, industry Connections, inspiration, or an occasional chuckle. Promote your indie film or literary or musical opus! Find investors & partners for a new product or service! Be the first kid on your block to discover a new artist! View an ever-growing talent pool by clicking Connections. Get added to the list by sending a link to your site (with your preferred title). To contact Dave Carter or view writing samples, visit the About page. Copyright © 1996-2017 by Harebrained Schemes, LLC. All Rights Reserved.